As is my habit, I was listening to music from my i-pod this morning while I was doing my weekly yard work of mowing, edging and trimming. 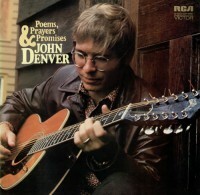 I had selected a group of songs by John Denver (his birth name was Henry John Deutschendorf, Jr.). I can remember seeing him in concert during the 70’s when he was at his peak as a performer. I liked his music then, and I still do. Incidentally, I just discovered during my research that he attended Texas Tech at the same time I was there. He was just a year younger than I. Of course, I didn’t know him. He was in the engineering department, and I don’t even know where that was. Nor was he anywhere close to being famous in 1962. We don’t do that very often, do we? We text and tweet and e-mail, using half words and symbols instead of real words. No wonder we have spelling problems. Most kids, and some adults, don’t know the difference between your and you’re, because they use “ur” for both. We may even Skype, but sitting down with a friend or family member just to talk about stuff, seems to be a thing of the past. I’m not sure the younger generation has ever experienced the joy of real, face-to-face communication. 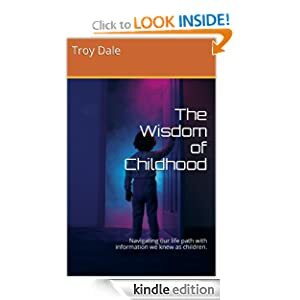 Have you gone into a store lately where a young person is behind the counter, requested a certain list of items, only to have it repeated back to you totally wrong? Frustrating, isn’t it? They don’t know how to listen. Luckily for me, Regina and I do have actual conversations. I obviously need to work harder on my listening skills, but practice is important. Road trips are especially fun for us, not only because we get to have a Starbucks along the way, but also because we spend a lot of time talking about stuff. If you haven’t tried it lately, I highly recommend it. This entry was posted in Communication and tagged communication, e-mail, George Bernard Shaw, John Denver, listening, Skype, spelling, symbols, text, twitter. Bookmark the permalink. What an absolutely delightful reflection: deceptively casual, warm and insightful. The interesting thing about discussing “stuff” is that it need not be deeply philosophical, but a grooming of those shared things, events and experiences that are the bonding elements of a long love. Road trips with a loved one is an excellent way to share stuff. Back in the Fifties was a popular song called Nature Boy which had a line that said, “The greatest thing you’ll ever learn is to love and be loved in return”. That was a great Nat King Cole song – one of my favorites. Thanks for your kind words. Me too!!! Who are you? So often you write my mind, Troy. The John Denver song is at the top of my lengthy “one of the best songs ever” list. I lived in Aspen for a couple of years and nearly every day walked one of the numerous pedestrian/bicycle paths that wander through the town and outlying areas. One segment winds through a park and is devoted to John Denver. Walking it, you can read lyrics of his songs engraved in boulders along the way. I enjoyed doing so many times. When we force the issue, our grandchildren will have conversations with us, though their hands twitch with an automatic compulsion to check their cell phones. And finally, you and Regina know the secret of road trips: good coffee and good conversation between two people who care about each other. Great post. I just ignored the line in the song that said they were passing the pipe around. Thanks for sharing the info about the John Denver segment in the park. Maybe someday I will revisit Aspen and take that walk. Thanks for your comment.